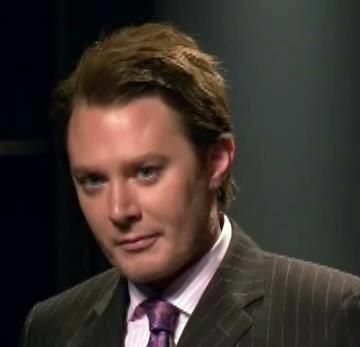 Clay Aiken – Working Hard To Get To D.C.
Today is Wednesday and I hope Clay Aiken is feeling especially good today…he should. On Tuesday, he got a special message from a very well-known person in District 2, North Carolina. Chris V. Rey, is the Mayor of the Town of Spring Lake, North Carolina. He grew up in Spring Lake and attended Spring Lake public schools. Chris enlisted in the army and spent time in both Iraq and Afghanistan. He returned to Fort Bragg to command the Third Special Forces Signal Detachment. Mayor Rey holds a B.S. in Business Administration from Walden University and a Juris Doctor (J.D. )Degree from William & Mary School of Law. 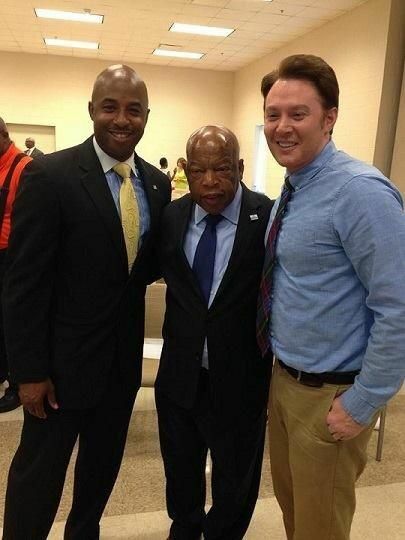 On July 26th, Mayor Rey hosted the wonderful event, An Evening with Congressman John Lewis. That message is always nice to read!!! Are any of you attending the fundraiser/party/concert tonight? If so, I sure hope you will share with us here. I would love to hear all about the evening. I have just a quick mention of housecleaning here: I have heard from a few readers that their e-mail from CANN is ending up in their junk mail. It has been a couple of months since we have made any changes so I can’t answer why. I know that if I find something in junk and I move it back to my inbox, it usually triggers mail to automatically go into the inbox. ??!!?? Any suggestions?? One more thing, if you read CANN from the e-mail, I hope you will visit the site once in a while. The e-mail is so convenient, but it really doesn’t show you the site. It is easy…from the e-mail, scroll down to the bottom to the words: “Post from: Clay Aiken News Network ” If you click on the blue, it will take you directly to the site and you can see our new countdown clock and other things that you miss on the e-mail. I look forward to another exciting day of celebrating Clay Aiken and his campaign for Congress! Yikes! Only 97 days? I'm already sweating! Clay for Congress!! Things are heating up and I am loving it!! After reading your email in the morning, I always click onto the CANN site. If there are videos posted, I can open them only through your site. There is also so much more info available outside of the post, and one can post comments here. How wonderful that Mayor Rey is aiding the drive to get Clay to DC. Ditto to the remarks above. It is exciting to follow Clay's daily meetings with voters. He is so likable. He appeals to everyone. Still can't figure out the hold up on response from Renee. To me this makes her look worried. Oh well, I'm just happy Clay & his team are doing so well!!!!! Happy to see Clay get such great support for this race. Wouldn’t it be fun to be a the Raleigh Fundraiser tonight. I’m sure everyone is having fun. Error: Error validating access token: Session has expired on Tuesday, 21-Aug-18 16:13:01 PDT. The current time is Friday, 26-Apr-19 00:42:02 PDT.